The diamond, a crystalline form of Carbon, is formed miles below the Earth’s surface. A diamond is the hardest material on earth: 58 times harder than anything else in nature. During the Middle Ages, only men wore diamonds as a symbol of courage and virility. The first recorded diamond gift to a woman was in 1477 when a diamond engagement ring was given as the ultimate symbol of surrender. The most familiar use of diamonds today is as gemstones used for adornment. Beauty is measurable. 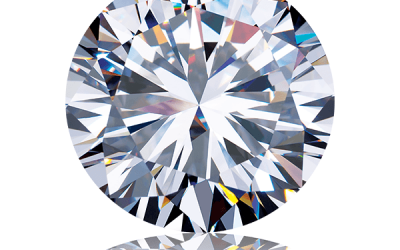 Dispersion (how white light transforms into spectral colors) and Refraction (how light bends) are the primary gemological characteristics of gem-quality diamonds. Thus, the value of a diamond is that it is beautiful, measured by refraction and dispersion, and its hardness means that it will last and be part of a story of heritage in your lives.